Friedrich Schiller spent only the first few years of his life in Marbach. His father, Johann Caspar Schiller was an officer in the army of the Duke of Württemberg and as such, was often stationed at different military posts in and around Stuttgart; his young family probably often visited him at these various locations. So in 1762 the family moved into a house in Ludwigsburg and thereafter never returned to Marbach. Initially, the young Friedrich spent his school years in Lorch and Ludwigsburg and from 1773 onwards he was enrolled in the newly-founded “Militär-Pflanzschule” (Military Academy) which later became the “Akademie des Herzogs Carl Eugen” (Academy of Duke Carl Eugen) in Stuttgart. This Academy had a strong influence on Schiller. True, he could not study theology there, as his parents had wished, but at first he studied the law and later changed to studying medicine. On the other hand, he received an outstanding education at the Academy, which his parents surely could not have provided for him. However, the daily routine of the school was strictly controlled according to military discipline (Christian Friedrich Daniel Schubart called the school a “slave plantation”), and it was difficult for Schiller to comply with this strict military regimentation. In December 1780 Schiller graduated from the Military Academy. At this time he had already completed his first drama, “Die Räuber”, and was now searching for a publisher. Although Schiller wanted to open a private practice as a doctor in Stuttgart, Duke Carl Eugen ordered him to serve in uniform as a military doctor. From then on Schiller sublet living quarters in what today is Eberhardstraße in Stuttgart and he performed the hated duties of a regimental doctor in the regiment for the disabled. He had his drama “Räuber” printed at his own expense and sent a copy to the publisher Schwan in Mannheim, who forwarded it on to the Director of the theater there. The first performance of the work followed in January 1782 at the Mannheim Theater, where Schiller was present incognito. After attending a further performance Schiller was placed under arrest for two weeks in Stuttgart; furthermore, the Duke forbid him to make any trips “abroad” and issued a general interdiction prohibiting him from writing any texts other than those dealing with medicine. 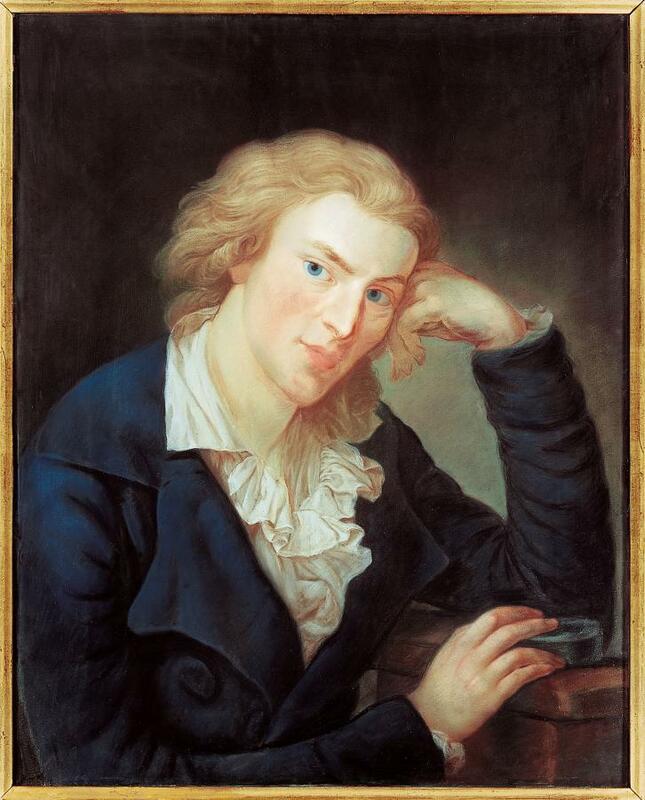 However, during his period of arrest this did not prevent Schiller from beginning a new work entitled “Luise Millerin” (later changed to “Kabale und Liebe), although he knew he could no longer publish his works in Württemberg. After all petitions to have the ban on his writing lifted were unsuc- cessful, on 22 September 1782 Schiller used the occasion of a large celebration held by the Duke at his palace Solitude to escape secretly from Württemberg with his friend Andreas Streicher to flee to Mannheim, located in the Electorate of Palatinate. In Württemberg his escape attracted great attention, whereupon he was registered on the regimental list as a deserter. It was only eleven years later that Schiller was able to see his home once more, but he never returned to live in Swabia again.